Good news. Hooray! 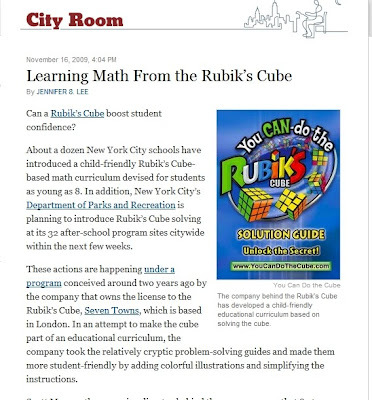 "The Math Book" is finally restocked at Amazon, after the 1st printing sold out in Sept! 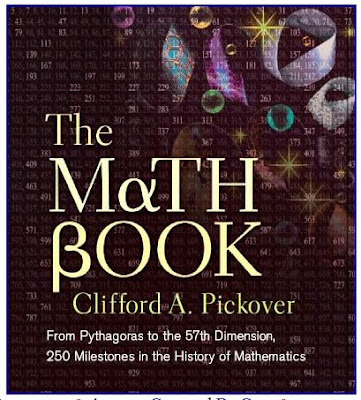 Read Martin Gardner's review here: http://sprott.physics.wisc.edu/pickover/math-book.html (Martin Gardner was the former columnist for Scientific American and current Contributing Editor to Games Magazine. Game Magazine (December 2009) has a full page review - written by the superb editor Wayne Schmittberger. The Gift-Giving Holidays are upon us! We've heard the term 'hardest puzzle in the world' too many times to count. 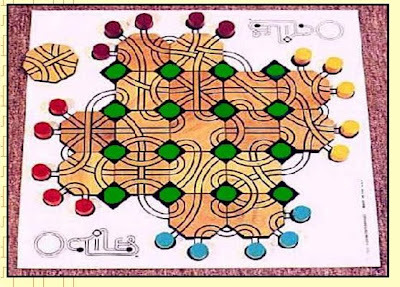 This "hardest game" consists of 30 levels of dexterity puzzles. I cannot get past level 24. 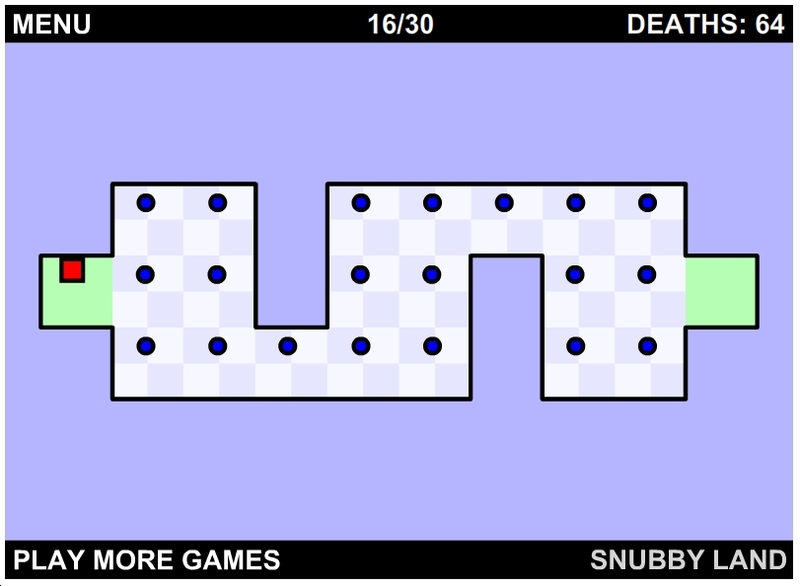 The photo above is from my favorite level: 16. The good people at Chessboss.com have come up with another version of chess. Since it involves Rubik's Cubes, we are naturally intrigued. "As you make progress and play a better game there are a number of chess variants that can be of great interest to someone who wants to play chess on ChessBoss.com. The first that comes to mind is chess with cube. This new variant of chess has been patented and is offered only on ChessBoss.com. 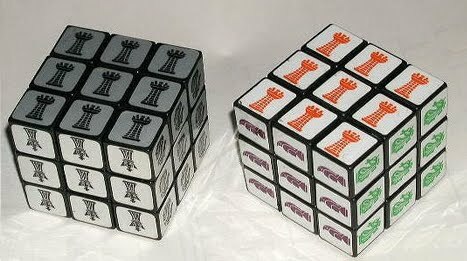 Part of the game is playing with same cubes as are used in backgammon to double the stakes." The February issue is now on sale. 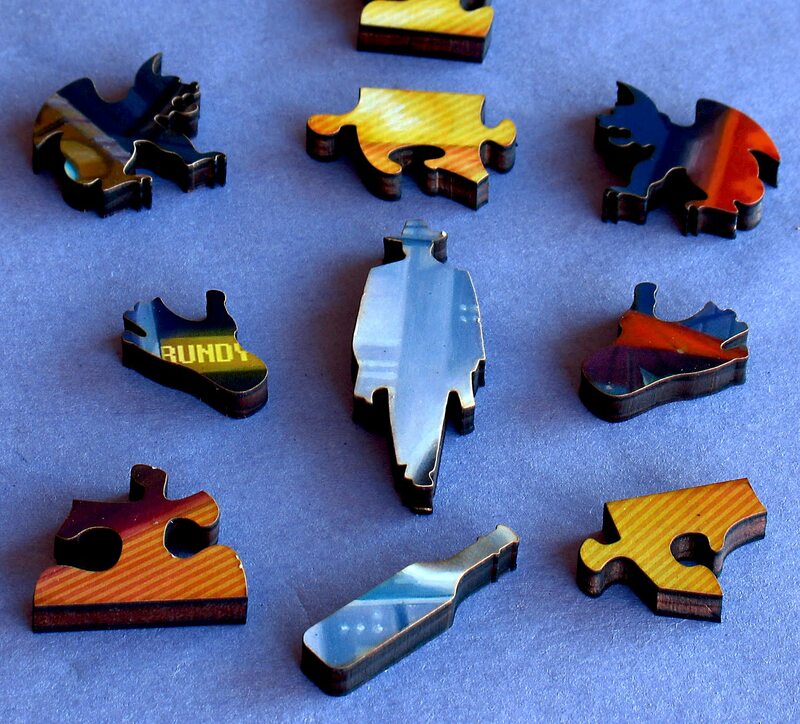 Pieces of Art: Cutting Edge Jigsaws features the amazing puzzles of Liberty Puzzles and Artifact Puzzles. This Mechanical Puzzle Correspondent not only authored the piece, but also took some of the photos. Another gem from the smartest man in the world: Oskar van Deventer. Extremely difficult. 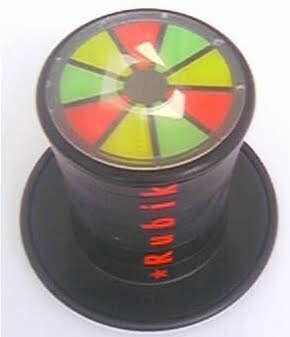 Dale Walton invented this terrific game. I'm wondering now what happened to my copy. Probably buried under puzzles. Get the wooden version! 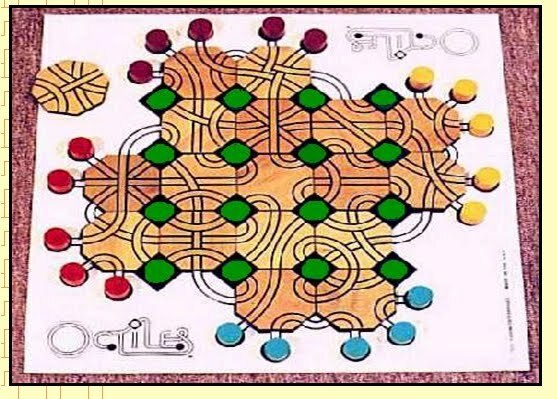 From: http://www.gamepuzzles.com/abstract.htm#OC which is run by Kate Jones. The annual New York Puzzle Party will take place Saturday February 13, 2010. This is the day before the New York International Toy Fair. Many people have emailed me questions about the International Puzzle Party (IPP). The IPP is an annual gathering of puzzle-minded folks. It is by invitation only. Figuring out how get an invitation is a puzzle itself. The NYPP is more open. If you want to come, shoot me an email & I'll provide more details. I anticipate 40 people will attend the upcoming NYPP. This Mechanical Puzzle Correspondent has been teaching Rubik's Cube for 13 years at a private school. Kids love it. Especially the solving competition in the school auditorium in front of EVERYBODY. This puzzle is very rare. Twist the layers around, hold it up to a light to see all the rabbits. This past weekend, I had the opportunity to talk with the inventor: Ron Druben. He thought that the puzzle was never sold in the US. Not true, according to 2 puzzle collectors who bought it years ago. Ron Druben is also responsible for inventing Tickle Me Elmo. This Mechanical Puzzle Correspondent LOVES Rubik's Cube. 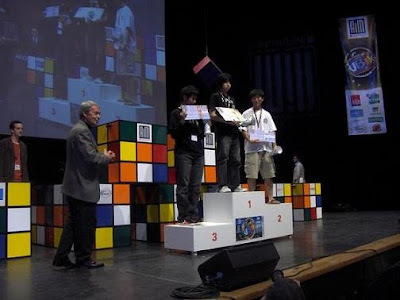 However, there are so many championship tournaments which include silly events like solving the cube one-handed. 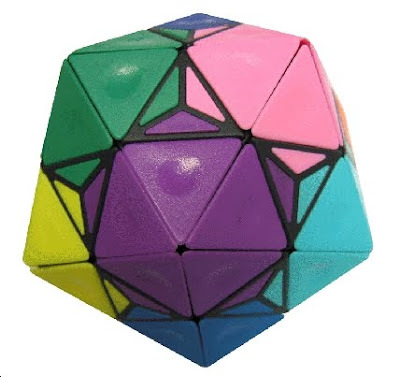 Other events: 2x2, 4x4, 5x5, 6x6, 7x7, Rubik's Clock, Rubik's Magic, Square-1, Pyraminx, Megaminx, and countless others. Some speedcubers have timed themselves using chopsticks. I attended one of these tournaments in Riverdale, New York (2003?) Nobody was in the audience. Except for the parents of the participants. Boring! When Roger Bannister cracked the 4-minute mile - that was momentous! But nobody knows (or cares) who holds the current record or what the time is. Same for Rubik's cube and all the other categories. Having so many categories diminishes the significance of the only one that should count. Organizers of speed cubing events should consider why the general public ignores eating contests. Nevertheless, this Mechanical puzzle correspondent HIGHLY RESPECTS those who can solve Rubik's Cube blindfolded and those who strive to find the fewest # of moves. To the Speedcubers: keep doing what you're doing because it's fun. However, please realize that there's a whole world of other puzzles to explore. 5 years ago the only way to obtain a Dogic was to hope that somebody put one up for auction on Ebay. The typical price: $400. A couple of years ago Uwe Meffert started making them. Unfortunately, he's completely out of stock and will not make them again! 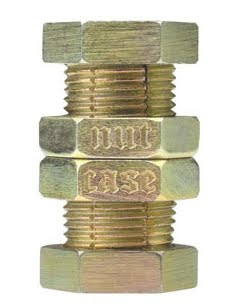 Our advice: when Mefferts.com says a puzzle will be offered for a limited time - get it right away. And if you're smart, you'll order 2 copies - 1 for trade. Christmas & Chanukah are right around the corner. Get 2 subscriptions: one as a gift and the other for yourself. 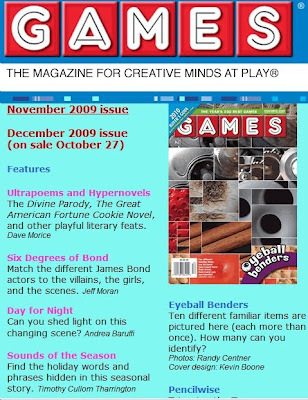 Games Magazine has a few crosswords, battleships, rebus puzzles and lots of other cool stuff! Superb for adults, also fun for kids. People who subscribe to Games Magazine - they never throw them out. Because they're something special as opposed to Time & Newsweek. Jeremy Stangroom has done a nice job of compiling classic brain teasers into one slim volume. Perfect for youngsters who are not familiar with Zeno, Monty Hall, The Prisoner's Dilemma, The Hotel Infinity, and the Dollar Auction. 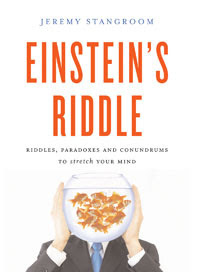 Let's not forget Einstein's Riddle! 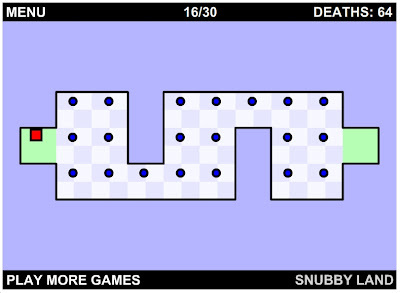 In the above image, a completed Shady Puzzle. They go by other names. 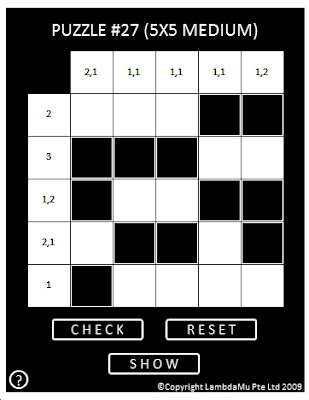 The people at shadypuzzle.com have put together a nice userface for fun solving. The 7x7 puzzles are where the real fun starts. Christmas/Chanukah are right around the corner. Get some of their books for somebody.